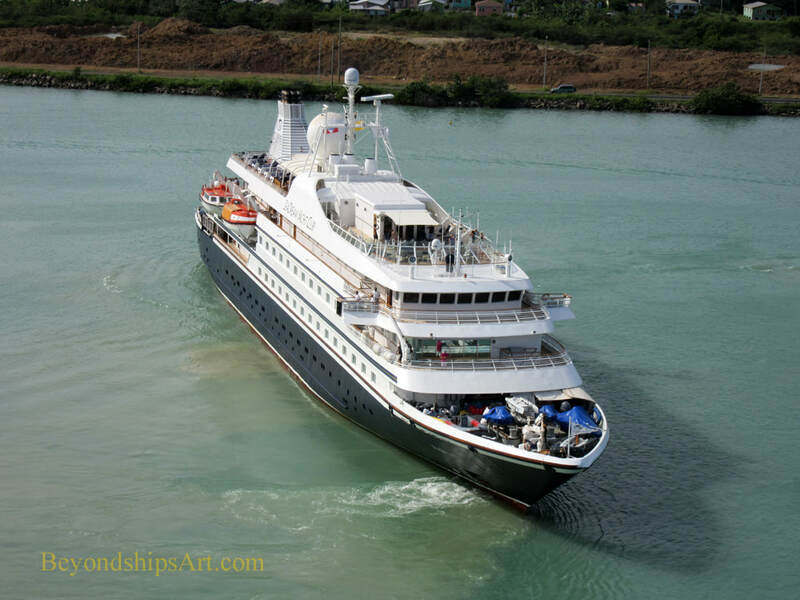 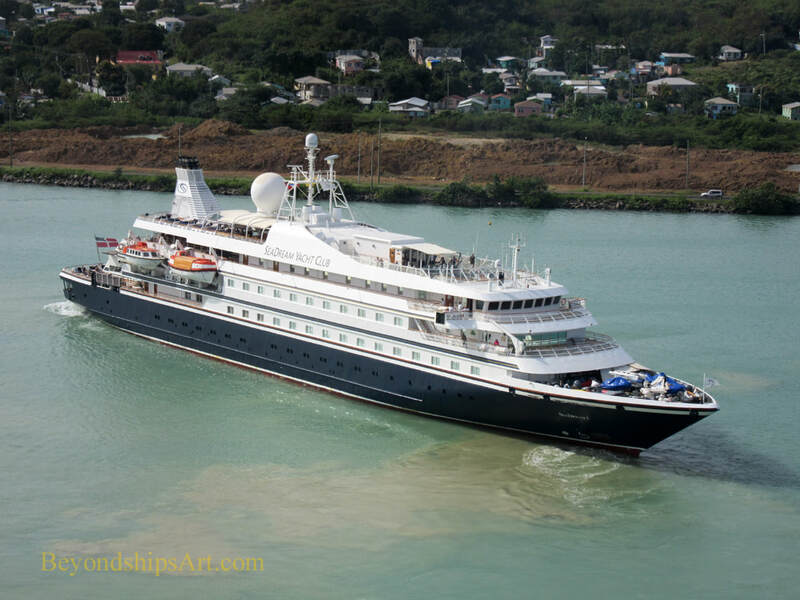 The Seadream yachts are luxurious world travelers. 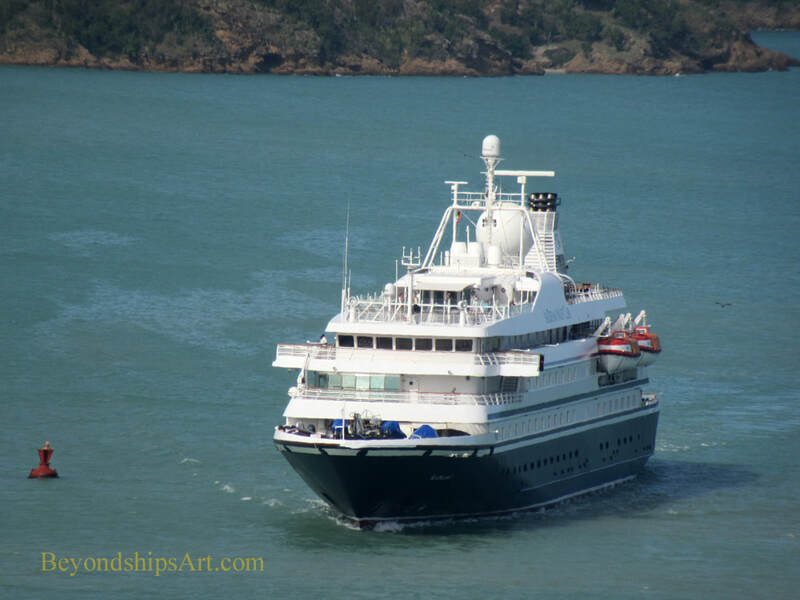 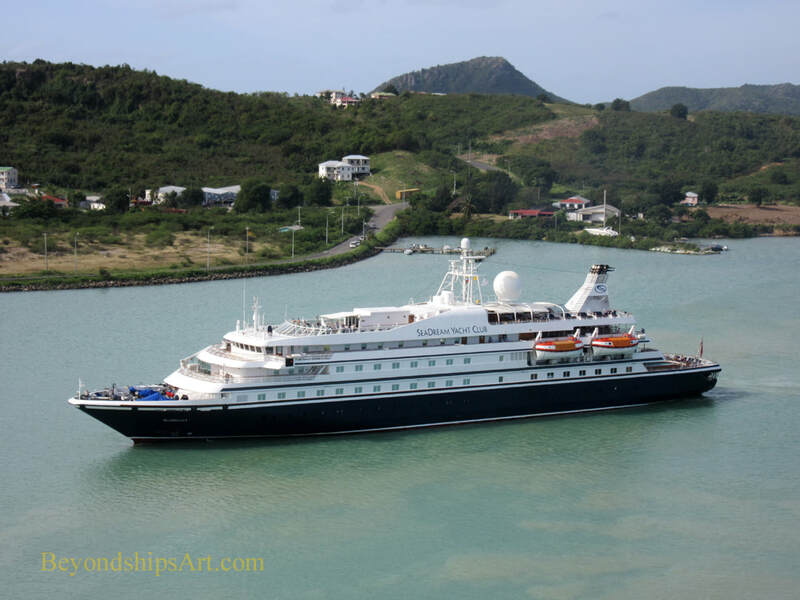 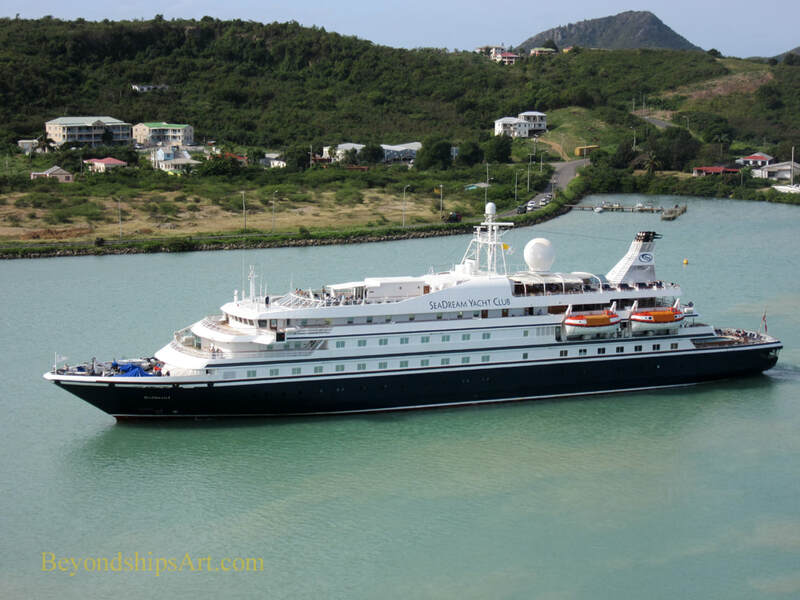 In this feature, we see Seadream 1 arriving in the post of St. John's, Antigua. 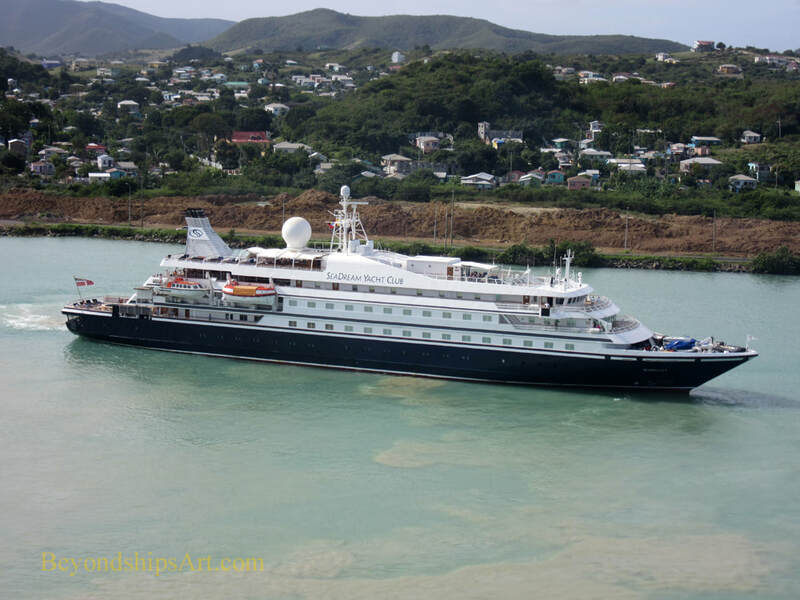 Seadream 1 proceeds up the entrance channel to the port. 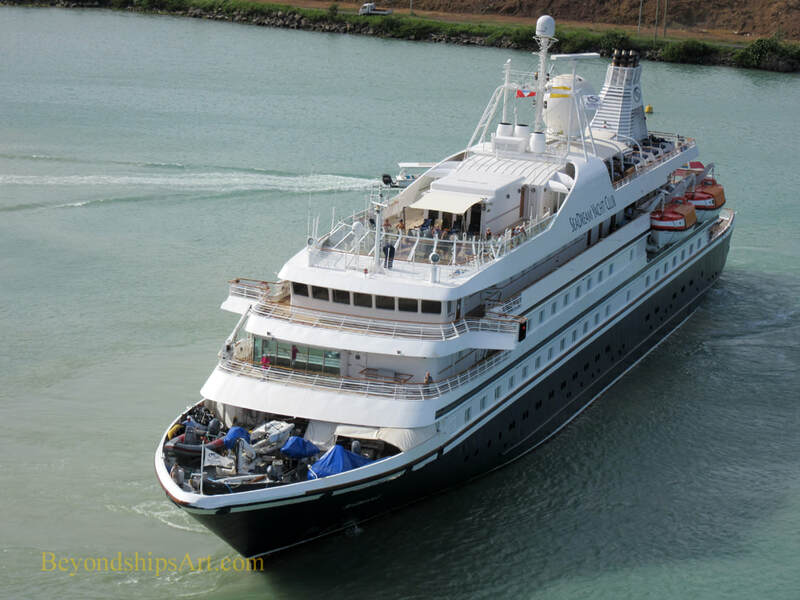 Shortly before reaching the piers, Seadream 1 executes a 180 degree turn and backs into her berth. 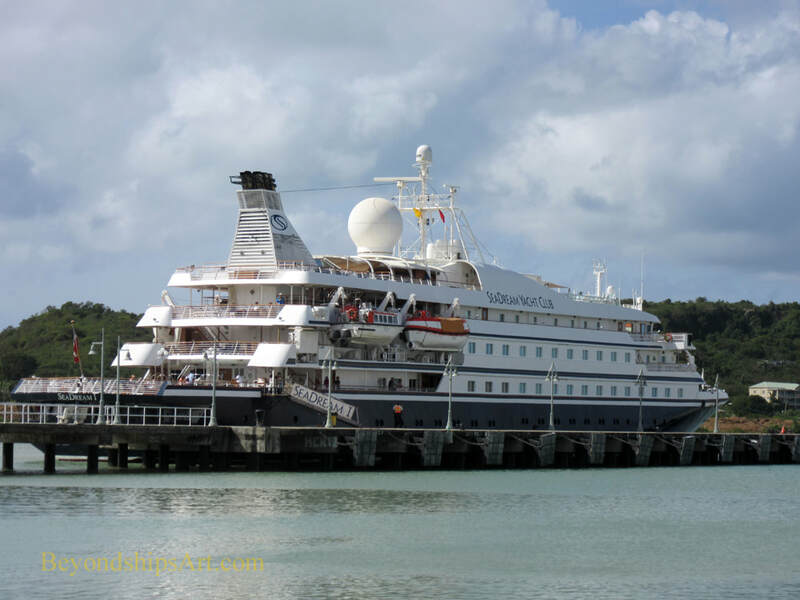 Seadream 1 docked at the Redcliffe Quay.